Living corals at risk and reasons for past extinction are urgent problems for scientists struggling to cope with our burgeoning reef conservation problems. Robert van Woesik and his co-workers in Kenya and throughout the US have compared the gene resilience of Pliocene, Pleistocene and modern corals. Already, the International Union for Conservation of Nature (IUCN) has prepared extinction risk data with which their new data was compared. Thermal stress at the present time may have influenced several genera of corals while climate change in the Plio-Pleistocene drastically affected 17 genera in the Caribbean. Early in the Pliocene, the polar ice-caps formed, while the Caribbean was cut off from the Pacific by the formation of the isthmus of Panama. However, 25 other genera of corals persisted there successfully. Pocillipora and Stylophora were dominating shallow reefs early in the Pliocene. Stylophora quickly reacted to the cooling and became extinct, while the previously common and large colonies of Pocillopora slowly shifted to a patchy distribution of small colonies, finally becoming extinct in the last interglacial period**. Of the 25 persisting genera, the Caribbean Acropona spp (A. palmate and A. cervicornis) became more common throughout the two periods, while others remained stable in distribution. 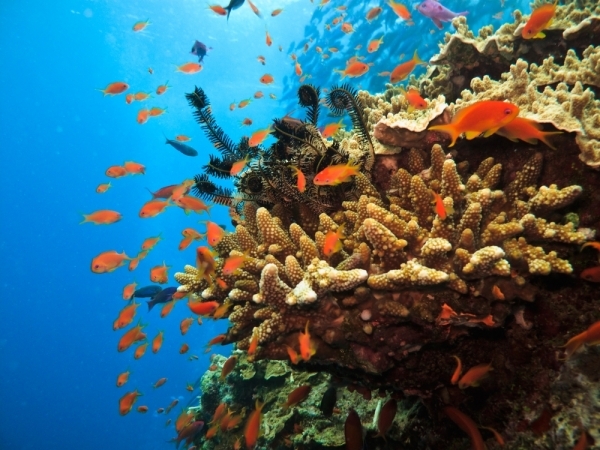 The current research, published in the Royal Society Journal, Proceedings of the Royal Society B: Biological Sciences, is out to prove that the specific traits (of a genus of coral) are responsible for survival and that they have not been and are not being subject to random extinction. The team measured modern corals by a resilience score Traits such as calcium uptake and exact modes of sexual reproduction, not forgetting the type of algal symbiont associated with the animals, were expertly assessed in order to give a resilience score. The ancient Caribbean was then sampled by visiting 70 localities in Central America and the Caribbean, covering 4 different fossil sequences within the Pliocene and the Pleistocene. 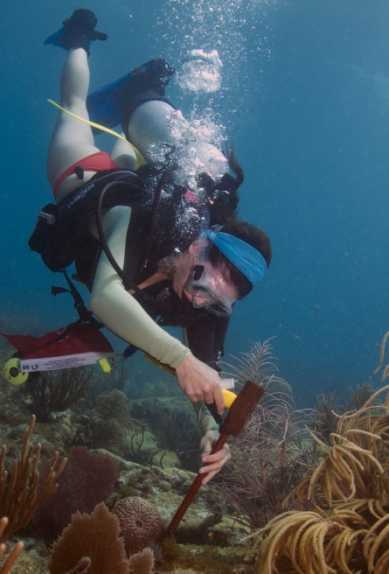 The species list here comprised 154 corals, with 6528 specimens investigated. Now came the vulnerability check with the 3 lowest-ranked modern corals assessed as vulnerable to extinction today (Stylophora, Pocillopora and foliose Pavona spp). In the Caribbean today, only one genus seemed vulnerable (Madracis spp.) Meanwhile the resilience scores also gave seven genera high and tolerant scores in both the Indo-Pacific and the Caribbean. Comparing the fossil corals now became strategic. The same three vulnerable corals in the Indo-Pacific appeared as some of the extinct groups during the Plio-Pleistocene era. As this is such an unlikely result to have happened by chance, the "random extinction" theory seems to be unsupported All four regional extinctions in the ancient Caribbean also had negative resilience, while four living corals all had a positive result. This correlation is not ignored by the researchers who point out the significance in great detail, leaving us only a trait-based framework as a tool for reef management strategy. Next, the IUCN data was examined and found to be generally agreeable. The relationship wasn't statistically significant but most genera were in agreement, except one or two such as Stylophora, which seem much more endangered than the IUCN indicate. Obviously it would now be useful to incorporate the validated assessment and ecological data from this research into the IUCN. data, to produce the most accurate prediction available, given the urgency of conservation. Areas for discussion suggested by the paper include looking at how widespread a coral is, then working out if that very distribution will help some colonies to survive change, in the same way that some Pocillopora spp. survived (for some millions of years) in the past**. Perhaps the unprecedented rate of warming at the moment will negate any efforts to protect or conserve, but consistent patterns seem to indicate that corals and others can have predictable fates. It is our increasing ability to use the past to look into the future that is becoming critical.